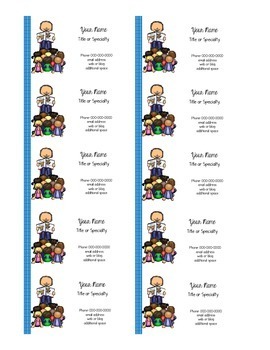 These EDITABLE Business Cards you can print at home and have them ready for “Meet Your Teacher” night. 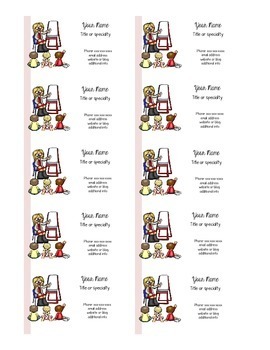 They are compatible with Avery Business Cards 5371, 5911, 8371, 8471, 2871, 28877, and 28878. 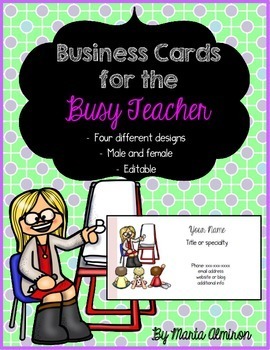 Includes 4 different designs (2 female teacher and 2 male). Please contact me if you have any questions, or suggestions. 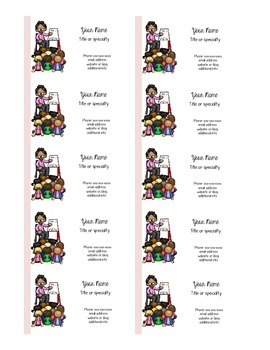 ☝Be sure to follow my TpT store by clicking on the green ‘Follow Me’ next to my Seller picture to receive notifications of new products and upcoming sales.